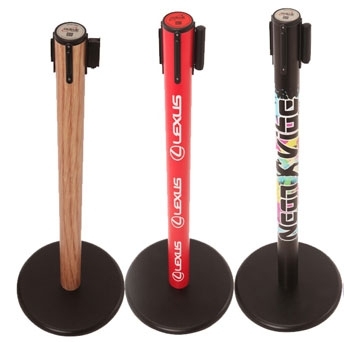 Showcase your brand, products or promotional message with this innovative clear retractable barrier stand. 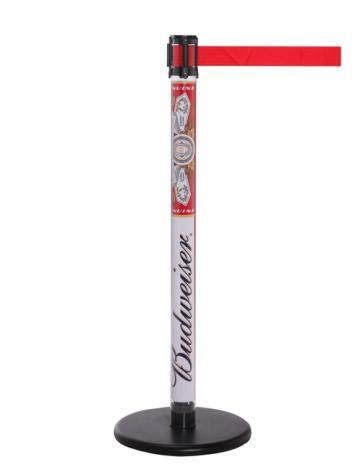 The clear promotional barrier stand comes with a 3.65 webbing and a choice of baste to suit every need. This barrier provides unlimited customisation oppurtunities, fill it with graphics, directional messaging, helath and safety elements or even products such as sweets, balls, coffee beans to create a barrier that really showcases what you do. Clear plastic tube to allow for multiple promotional, customisation and branding oppurtunities. 4 way connection and anti tampler ends provide an unlimited array of queue design options. Extensive range of power coated colour and chrome finishes with the standard base. Also available with a outdoor fillable base and ultra durable rubber base. 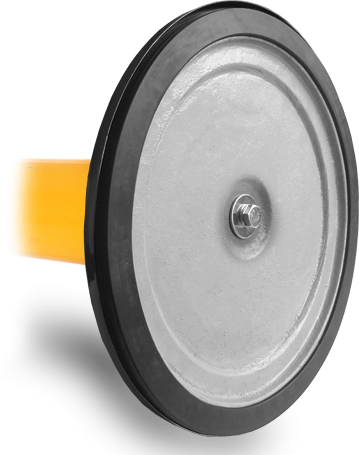 Slow retracting belt is provided with innovative and patented retraction system. Available with a range of webbing colours and chevron styles to suit your brand, environment or need. 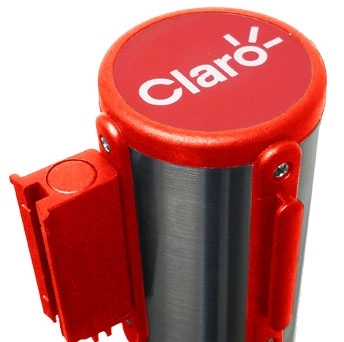 The clear retractable barrier stand is ideal for retail queues, trade events, warehouse environments, airports, football and other sports stadiums, coffee and sweet shops, galleries and more. Printed message retractable barrier tape is also available with this retractable barrier stand as well as bespoke printing with no MOQ and a range of sign holders. Quick to change and customise offering ultimate flexibility in crowd control and staff guidance options. Intense, lively belt colours will help to elevate your brand. 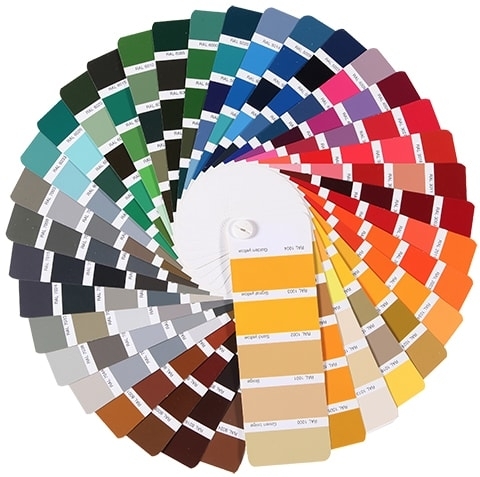 We can offer you 40 different standard colours as well as 8 standard messages on the belts. The belts are produced out of polyester that has been tightly woven, which is optimal for heavy-duty usage. 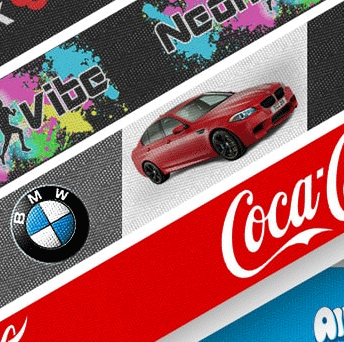 No matter if you’re in need of 10 or 1000, our internal graphics department can personalize the artwork of your belts with the use of advanced technology for digital imprinting. What is the recommended size for the banner to be inserted in the post? The circumference is 195mm and internal length 82cm.